Listen to our recent radio interview on mediation. “Quite a Hefty Price Tag” was published in 270Inc. Business Magazine, March-April 2012. “How ADR Can Help Your Business”, was published in the October 2011 newsletter of Snyder Cohn, CPAs and Business Advisors. 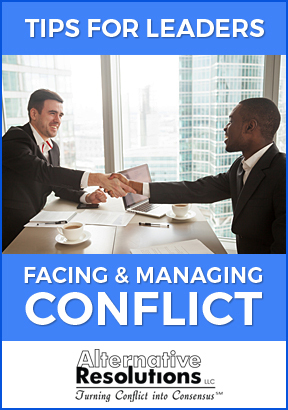 “Conflict Resolution” was published in the newsletter of the National Alliance for Mental Illness, June 2011. “Negotiate to Get What You Want, so Everybody Wins,” was published in Women in Higher Education, November 2010 and featured Ellen’s presentation at the First Annual Pre-tenure Women’s Conference at Purdue University. “Conflict in Health Care: What Physicians Can Do About It,” was published in Dr. Perspectives, Fall 2010, a newsletter of Snyder Cohn, CPAs and Business Advisors. Ms. Kandell and Pat Esslinger’s article,“The Case for Collaborative Meeting Technology,” was published in MacroScope, the newsletter of the Maryland Mediation and Conflict Resolution Office, April, 2010. 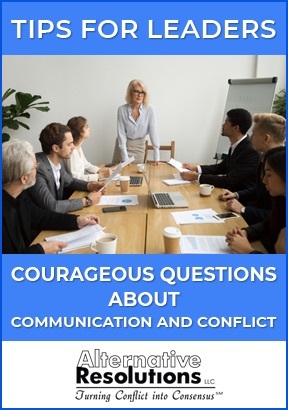 Ms. Kandell’s article,“Hidden Costs and Benefits of Conflict Management,” was published in the Montgomery Medical Society Rounds Newsletter.February, 2010. Ellen Kandell appeared on Montgomery County Cable 21 on October 27 (8:00 PM) and on October 30 (3:30 PM), in a program “How ADR Can Help You” on Law School for the Public. Ellen Kandell and Kate Trygstad spoke to the Society of Federal Labor Relations Professionals on September 15, 2009. The topic was: “Out of the Woods: Techniques that Generate New Pathways for Resolution”. “Hash it Out in Half the Time,” by Ellen Kandell and Pat Esslinger, was published in Municipal Maryland Magazine, July/August 2009. Ellen Kandell was invited to become part of the Montgomery County Bar Foundation’s “Bar Leaders” Fellows Program in April 2009 in recognition of her service to the Montgomery County Bar Association and the profession. Ms. Kandell’s article, “How Alternative Dispute Resolution Can Help You and Your Company,” was published in Smart Business Magazine, January 2009. Program on Negotiation at Harvard Law School- This link is a treasure trove of information about alternative dispute resolution, books, articles and research.